Originally from Philadelphia, Alex Levin has performed in Philadelphia and New York as a leader and a sideman for the last fifteen years. After studying at The New School with teacher Gary Dial, he transferred and graduated from Brown University in 1998 with a degree in English Literature. From 1998-2001 he lived in Berlin, Germany, where he started his first quartet, The Living Room. The popular band played at numerous clubs and festivals throughout Germany, and gained notoriety for unique interpretations of pop songs by the likes of Bjork and Tom Waits. Alex has played with multiple vocalists and instrumentalists since returning to New York in 2001. He has appeared at clubs throughout the city, and can most frequently be found leading his own trio at such clubs as Kavehaz, Detour, Rue B and Night and Day. Besides leading his trio, Alex performs regularly with vocalists Ayana del Valle and Heather Moran. He has composed numerous pieces, and has arranged music for top vocalists, including the brilliant Paulette McWilliams. Alex released his first CD of trio music, Night and Distance, in April of 2005. His first run of his CDs sold out within eight months of its release. Due to popular demand in America and Japan, he reprinted the CD twice. In October, 2006, he released his second CD, A Reason for Being Alone, featuring his own compositions and an internationally-acclaimed lineup of musicians, including saxophonists Stacy Dillard and Max Hacker, and the cellist William Martina. His composition "Your Call" was heard in the 2005 film "Parkstories," and his jazz writing has been published in The Saint Anns Review. In the summer of 2006, Alex was invited to play as part of the Jazz Composer's Forum in Asheville, North Carolina, where he presented a special concert of original music. In addition to his work as a pianist, Alex works at Saint Ann's School in Brooklyn as an English teacher. During the dog days of July he retreats to Vermont in pursuit of his MA in Literature through Middlebury College's Bread Loaf School of English. In 2006, Alex was commissioned by the senior class of Middlebury Colleges graduate program to compose three new pieces inspired by Appalachia. He was later jazz musician in residence at Bread Loaf School of English in 2008. 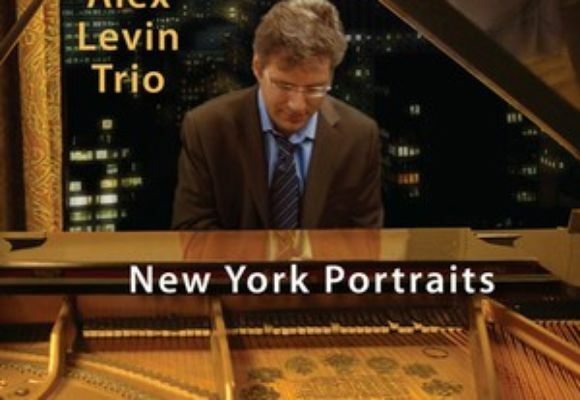 In 2010 Alex released his third CD, New York Portraits, to great critical acclaim. Made up mostly of standards and two originals, New York Portraits pays homage to many of Alex's favorite musicians, including Bill Evans, Tom Waits, Ahmad Jamal, Blossom Dearie, Shirley Horn, Barry Harris and Red Garland. Alex's latest iteration of his trio, featuring Diallo House on bass and Ben Cliness on drums, are the "house band" at Manhattan Youth Downtown Community Center in Tribeca and can often be found playing there on Friday nights. Please see the gigs page for the most current information on catching Alex playing live.